198 total miles sailed and 174 miles from the start! Still sailing nicely. We're in the company of faster boats today. Our shore support told us we cut Endeavor's lead by half over night. 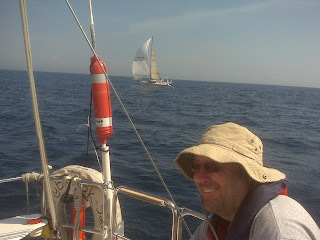 We also passed at least one of our Cruising 2 competitors. We remain optimistic for a strong finish!